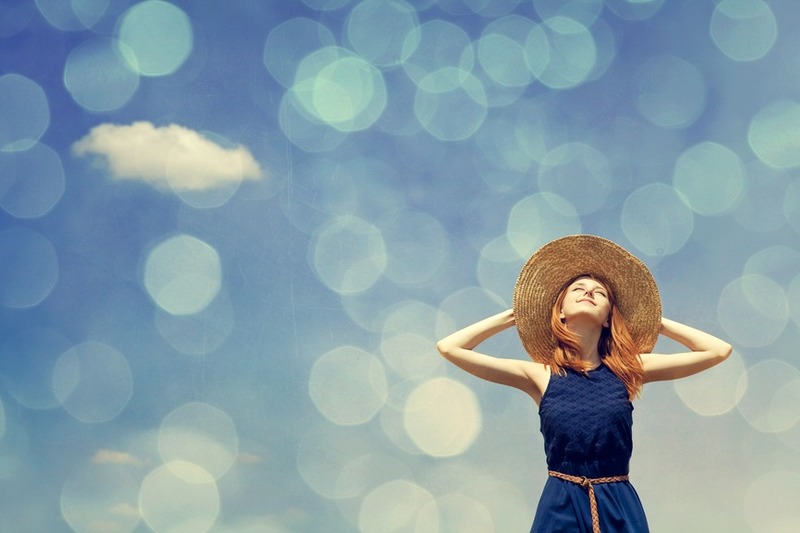 Redhead girl at spring blue sky background. Redhead girl at spring blue sky background. Photo with bokeh at background.